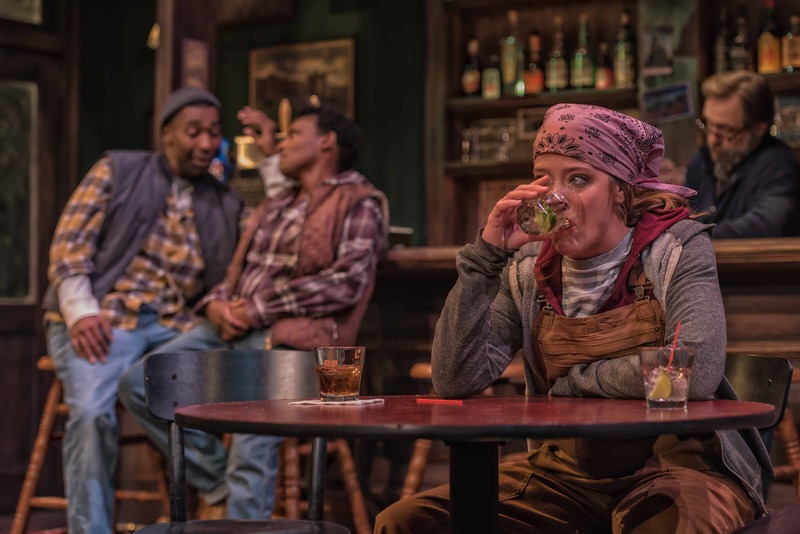 To some, the Lynn Nottage play Sweat at Everyman (through November 25) could just as easily be set in Baltimore as Reading, Pennsylvania. The 1980s-era characters struggle as jobs at the local steel company slowly drift away to points south of the border, or are taken over by automation. The divide between management and workers widens, even as those employees (here, most of them women), see their paychecks shrink and their kids’ employment prospects disappear. This is NAFTA, folks. 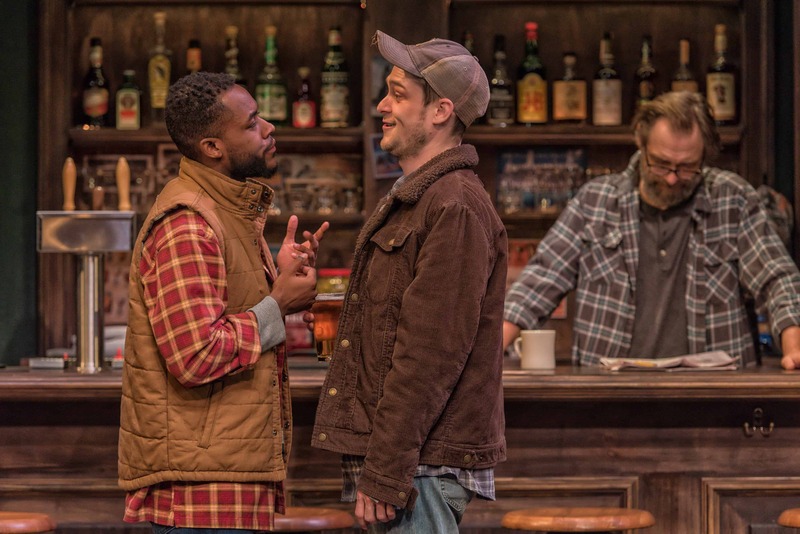 And the play, which opened in New York five days before the last presidential election, shines an empathetic light on the white working class many believe comprised the 2016 electorate. The Everyman production, directed by company founder Vincent Lancisi, is a powerful look at the shifting of the American dream. In conjunction with the production, Everyman has is organizing a collection of collaborations with the community. 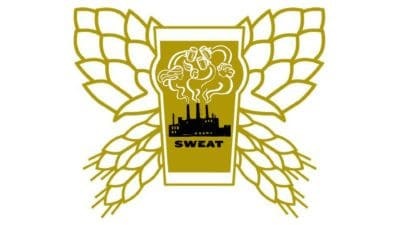 On Monday, Veteran’s Day, Checkerspot Brewery will host a collage of scenes and readings from Sweat interspersed with discussion about labor and industry. Guests include past and present union members and others intimate with the issues raised in Nottage’s play.